In this guest blog, Steve Hurn, CEO at Reevoo, shares top tips on making social commerce work for your company. Social commerce is an evolving term. However, despite its multiple applications in business today, most people in the digital world appreciate that ‘social commerce’ refers to any user-generated content that influences the buying process. Social commerce is where people (and sometimes also brands) assist fellow consumers in making purchasing decisions, thus enabling the commerce process in a way that is organic and based on real-life user experiences. It encompasses anything from comments posted on an online forum or social network, to opinions shared on a retailer’s website. The bottom line is that it’s all based around user reviews and user-generated content. This is what makes up social commerce. Many brands are now gathering a significant amount of user-generated content due to their digital activities, whether this is information gleaned from their fans on Facebook, followers on Twitter, or customers who have bought a product and then left a review on the site. This information provides a wealth of insight into what customers think about the products, the brand and the service received. Despite this plethora of useful information, many brands are not yet using the information gathered through digital and social activities effectively as they could be. 1. At its most basic level, insight gained from social digital activity can be a simple barometer for brands to see how much positive versus how much negative feedback they are getting online. This feedback can be easily measured and tracked simply by focusing on what your customers are saying, capturing the top-line data from their feedback and leveraging the information appropriately. 2. Taking this one step further, brands can tag all the qualitative data acquired from verified customers, creating a data set based on customer feedback, which has quantitative value and allows for quick analysis. For example, words like ‘love,’ ‘happy,’ ‘wrong,’ or ‘disappointment,’ can be separately tracked to gain insight into how actual customers feel about a certain product. 3. Should there be a problem with a product or service, companies can leverage real-time feedback acquired through social commerce to respond to individual customers and address the issue quickly, pre-empting any potential crisis situations – something that would be impossible to do by only relying on market survey data after the fact. 4. The Internet, and particularly social networks, provide us with immediate and easy communication channels. Thanks to them, brands, customers and prospects alike now have a direct line of communication – one which companies stand to benefit from. Customers can be thanked for a nice comment, tweet or picture, comments can be responded to personally and the brand ‘voice’ communicated in real time. Ultimately, utilising this form of social communication shows that there is a ‘human touch’ behind your brand, which demonstrates a receptivity and caring approach towards customer feedback. Taking an online, real-time communication approach increases personal connections with customers, and, therefore, garners goodwill among consumers. 5. Enable productive communication by providing a platform for your customers and prospects to exchange information between one another. Then, get interactive with your customers and join that conversation as appropriate. Social commerce can be used for Q&A – either between the customer and the brand, or to connect two or more people who have purchased a product. This not only helps customers with queries about a product, but you will gain a greater understanding of where the pain points are in the buying process. 6. Make the content generated from social commerce work smarter for you by leveraging the content that is created from user-contributed feedback. User-generated data gleaned from social commerce, including positive quotes and reviews, make great marketing collateral in addition to providing useful insights into areas that can use further development. 7. Reach out wider in to the online social ecosystem to integrate the content your users are generating with Facebook, Twitter, LinkedIn or Pinterest. This allows you to help customers and prospects no matter where they are. For even more sophistication, build tracking into these links, so you can see where content has been shared and how many times, allowing you to improve your communications and thank your advocates. 8. 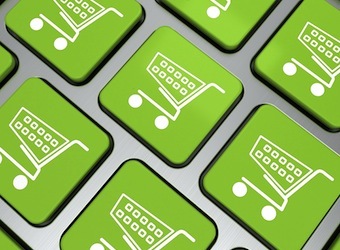 Social commerce insight can be analysed on its own, in a variety of ways that suit each business. But, to take the data gleaned from social commerce insights a step further, a company can look towards integrating it with existing CRM and other data-aggregating systems. In this way, a company can use social content for the benefit not only the sales departments but also those for marketing, customer service and technical support. Understanding and using the above tips in the ways that are best suited for your individual business will allow you to leverage social commerce, demonstrating to the wider business the value of digital and social activity. Furthermore, a solid social commerce strategy will ultimately help you to engage with and understand your customers better, leading to a better customer experience and, hence, increased sales and loyalty.